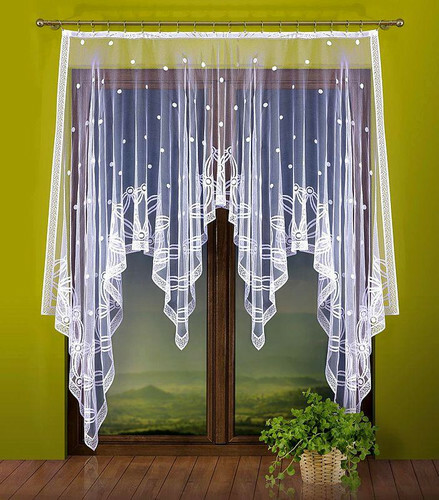 Ready made jacquard net curtain. 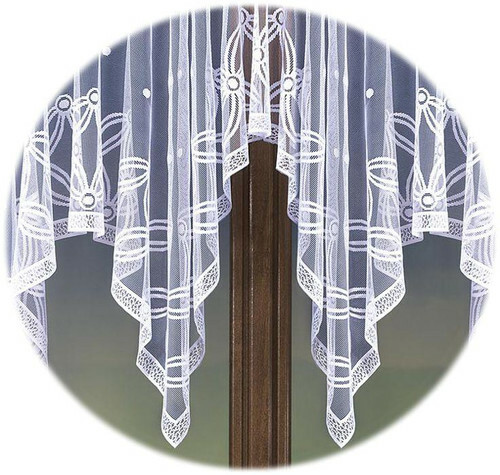 Stiffening tape provides greater look for this net curtain and unables gathering. 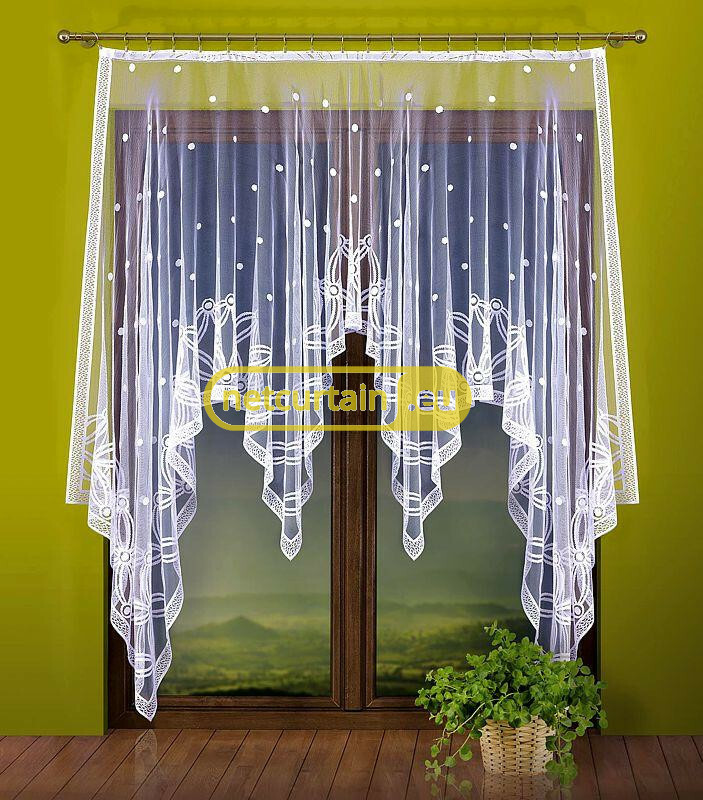 Ready to hang it, width: 180 cm.